This self-contained, 100% drop-in unit is ready to install in your Winchester Model 70 rifle with the MOA trigger. The trigger features an exceptionally smooth, crisp, single-stage trigger pull and requires no gunsmithing or fitting. Just like all Timney bolt action rifle triggers the new Winchester MOA replacement is fully adjustable for Creep, follow through and pull weight. The lightweight, 6061 T6 aluminum alloy housing is anodized for superior durability. The sear is Wire EDM machined billet steel and combines hardness to resist wear with superior impact resistance and is Teflon-nickel plated for greatly enhanced lubricity. Other components are EDM cut from billet steel, then heat treated to R/C 56-60 for a long service life. After trying unsuccessfully to adjust the factory trigger I decided to go with a known, reliable replacement. I ordered this trigger for my Winchester M70 and couldn’t be more happy. I took a total of 20 minutes to replace and adjust it to my liking. 2-1/2 pounds with no over travel. Highly recommend, took it to the range cut my groups down by 70%. Easy to install. 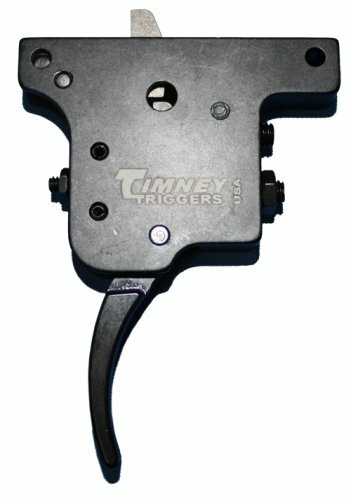 Had one question, with call to Timney customer service was answered. Came factory set at 3 lbs. perfect for hunting rifle. Factory MOA trigger almost impossible to lower pull. 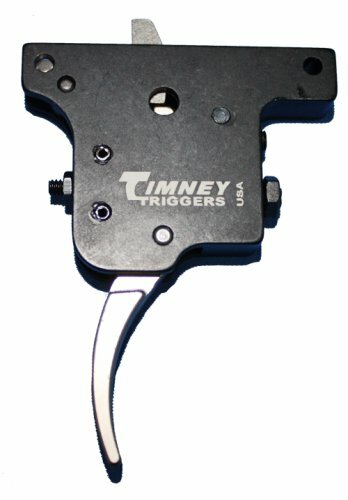 Note that Timney trigger has less curve to the actual trigger compared to factory MOA. Overall very pleased with the change. Fast shipping and great price. Exactly as described. Wish it had come with adjustment instructions, but it isn't hard to figure out. Rifle shoots like a dream in bench rest competitions now.